A HUGE THANK YOU TO ALL OUR WONDERFUL CUSTOMERS! We look forward to getting these animals safely to you next week! Have a great rest of the weekend guys, HUGE THANK YOU AGAIN FROM THE ASD TEAM! We wouldn't be able to do what we do without you guys! Here are the winners for ASD's September Live Sale! Congratulations guys! Your prize/s will be in your shipment! Coupon code ends WEDNESDAY 9/12! Use it NOW! Coupon code is good till tomorrow (Weds) night! 8/25/18 Aqua SD Weekend Update! Sweet Frags and Colonies for Sale - SAT 8/25! 5/27/17 Aqua SD Weekend Update and Sale! TONS of Frags, Coral Colonies and Inverts! 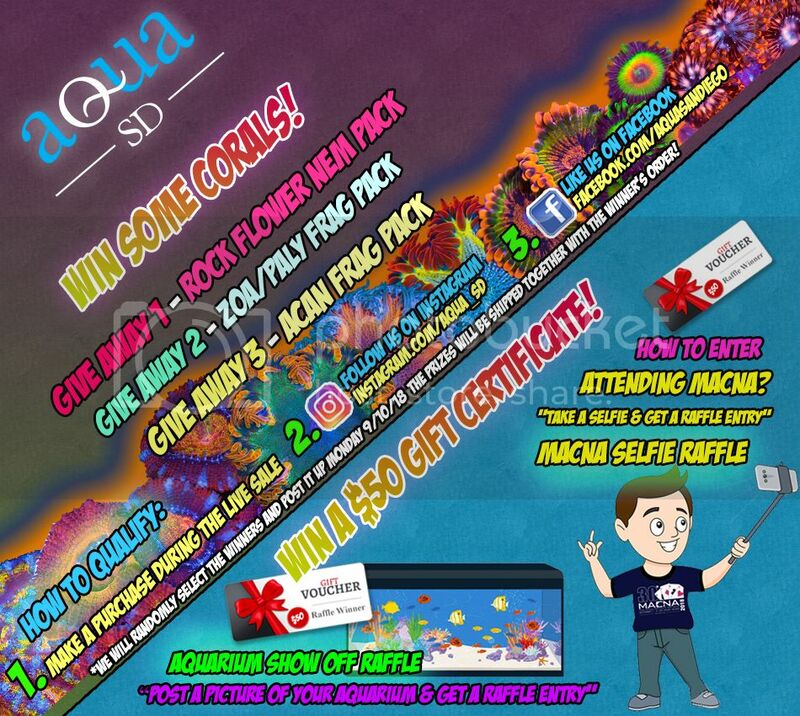 5/20/17 Aqua SD Weekend Mega Update and Sale! Hot Colonies, Frags and Inverts! 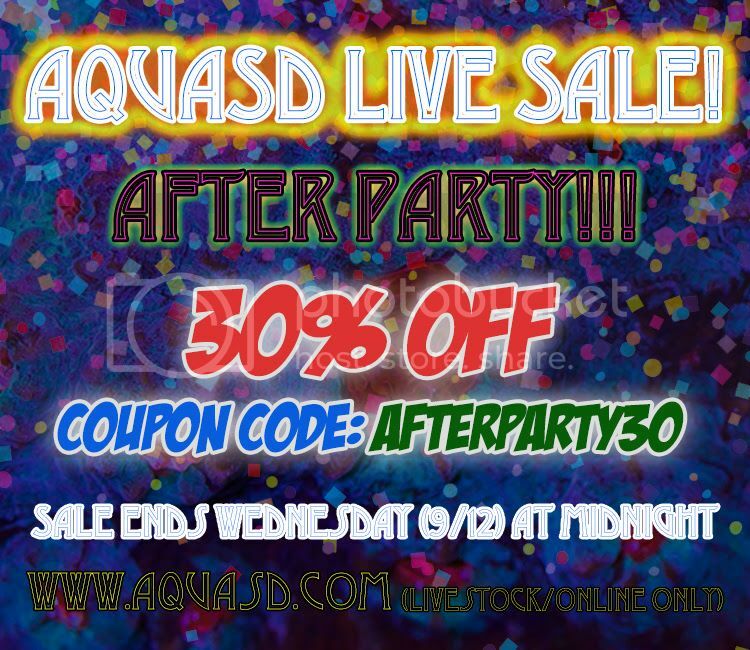 8/29/15 Aqua SD Super Update and SALE! New Shipments full of HOT Colonies + Frags!